Sara Freeman is a Licensed Certified Physician Assistant. Born and raised in New Orleans, she earned her undergraduate degree from Louisiana State University, followed by a Masters of Medical Science degree in Physician Assistant Studies at Our Lady of the Lake College in Baton Rouge. She began her career working in General Neurology, treating chronic migraine headaches as well as cerebrovascular disease, neuropathy, radiculopathy, epilepsy, and many other general neurological conditions. 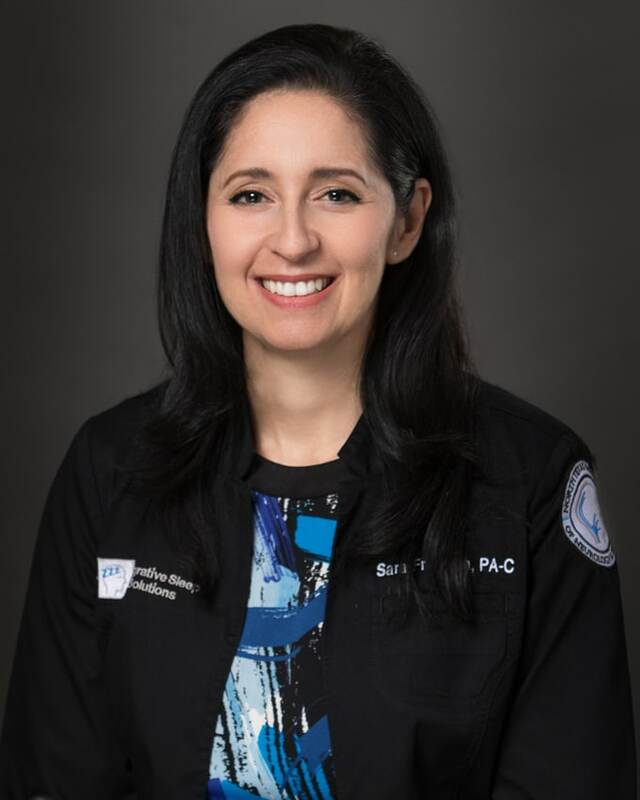 She then specialized in Sleep Medicine where she helped manage sleep related breathing disorders, insomnia, narcolepsy, and restless legs syndrome. Sara is an empathetic and motivated medical professional. She values the ability to help reduce acute and chronic headache symptoms with conservative pharmacological and injection treatments. Sara supervises infusion treatments, performs trigger point injections and nerve blocks, and administers Botox for chronic migraine headaches. She particularly enjoys managing sleep disorders, which can be a significant contributing factor to headaches. Sara is a member of the American Academy of Physician Assistants and the Texas Academy of Physician sistants.